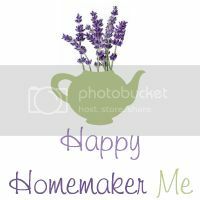 Happy Homemaker Me: I have a job! I'm sorry it took so long to reply! I've been trying to figure things out and have kind of just been flying by the seat of my pants lately. I'm back in the job limbo. The school that I've subbed at for the last three weeks wants to hire me as an Admissions Counselor (they haven't gotten the official ok to hire anyone yet, but the principal loves me and says as soon as she gets the go-ahead from the church board, she will come straight to me), I just heard from the preschool director at the school I worked at all last year that they are voting on Sunday to increase their preschool to have an infant/toddler program (and the director there said that she wants to hire me as the Infant Toddler Program Director if the church votes yes for the program), and today, I interviewed for a position as an inclusion aide (working with children with special needs) in the San Marino District. Whew! It's nice to have things on the board again, but I'm not getting my hopes up. I thought at the beginning of the summer that I had it made with the two schools I had applied for, and neither of them hired me. I'm jaded and ready for something secure, for sure! Well, guess which one I got? Annnnnnnnnnnnyway, I'm done with waiting on promises that don't come through, so when I got the call from the district expressing such excitement about having me onboard, I couldn't help but smile. It's not my dream job, but it's something. It's not the salary I would get as a teacher, but it's better than sitting at home waiting around to sub. And I'm so tired of hoping and praying for a teaching job that I was ready to give up on education altogether and apply for a job at JoAnn's. (Minus the minimum wage part, wouldn't that be just the perfect job for me?!?) Buuuuuuut, this keeps me in the field of education, gives me excellent experience working with children with special needs (hello, impressive resume!) and gets my foot in the door of one of the top school districts in our area. I've been praying for so long to have a job, and now I have one I'm thankful! Thank you for praying along with me. It's been such a long process! Oh Bethany, I'm so happy for you! Remember- all things work for the good of those who love God and are called according to His purpose. 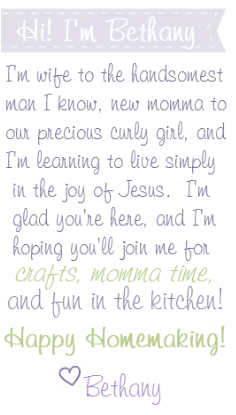 I'm excited to see where God leads you in this endeavor! When do you start? Amazing news!! Congrats girl! I wish you the very best with your new position, I'm sure you will do great!